The newly re-branded NASCAR Gander Outdoors Truck Series opens its season on Friday, Feb. 15, 2019 at Daytona International Speedway with the NextEra Energy Resources 250. 40 trucks are entered this weekend, meaning eight will go home after qualifying. There are many changes in the Truck Series this season, with several faces in new places. ThorSport Racing will field five trucks, adding a familiar face to the team this past offseason. 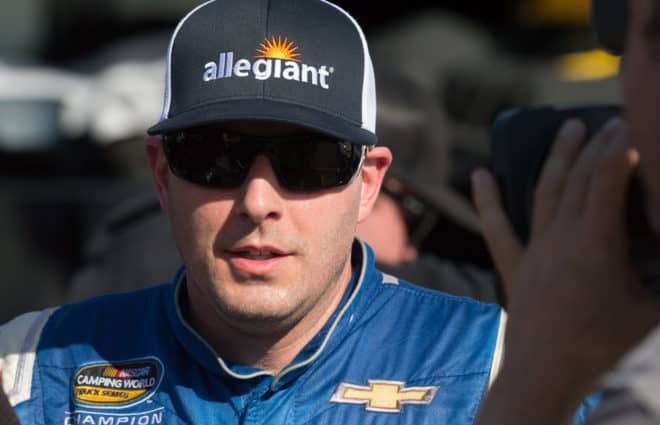 Johnny Sauter returns after racing for several years with GMS Racing and will drive the No. 13 truck full time. Myatt Snider will move over to the No. 27 after winning Rookie of the Year in 2018. Matt Crafton and Grant Enfinger both will be in their truck numbers from last season, No. 88 and No. 98, respectively. Ben Rhodes moves from the No. 41 to No. 99 and will run a full-time entry as well. Kyle Busch Motorsports will have Todd Gilliland return in their No. 4 Toyota. Gilliland will run for a championship after not being able to last season due to age restrictions. ARCA Daytona winner Harrison Burton will drive the No. 18 full time after running part time for the team the last two seasons. Christian Eckes will round out the trio, driving the No. 51 at Daytona after running a few races for the team last season. NEMCO Motorsports will have Angela Ruch drive their No. 8 truck at Daytona while their driver the last few seasons, John Hunter Nemechek, will run the No. 87 for the team. Nemechek will be competing for a championship in the NASCAR Xfinity Series driving for GMS Racing. Hattori Racing will have a new driver for this season after scoring a championship with Brett Moffitt in 2018. Austin Hill will now drive the No. 16 Toyota for the team full time this season; he comes with additional financial backing. Hill previously drove the No. 02 for Young’s Motorsports in the series. Moffitt joins GMS Racing after his championship last season with Hattori Racing. Moffitt will drive the No. 24 truck full time after being released from Hattori due to a lack of sponsorship support. Sheldon Creed will drive the team’s No. 2 full time after running several races near the end of 2018 for the team. Young’s Motorsports welcomes two new drivers for the 2019 season. Gus Dean will drive their No. 12 truck while Spencer Boyd will race the No. 20. Dean ran the full 2018 ARCA schedule, scoring a sixth-place finish in the points. Boyd ran full time in the NASCAR Xfinity Series for SS Greenlight Racing in 2018, earning a best finish of 17th. DGR-Crosley Racing will have David Gilliland behind the wheel of the No. 17 truck for Daytona; Natalie Decker will run the No. 54 for the team. Decker will attempt to make her first career Truck Series start after racing full time in the ARCA Menards Series in 2018. Niece Motorsports will have Timothy Peters and Ross Chastain in their No. 44 and No. 45 trucks for Daytona. 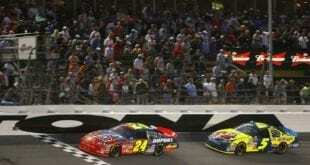 Peters last raced for GMS Racing at the end of last season and scored a victory at Talladega in October. Chastain will be running full time in the Xfinity Series and moonlighting with a limited Truck Series schedule. Veteran Brennan Poole returns to NASCAR full time in the No. 30 truck for On Point Motorsports this year. Poole previously ran full time for Chip Ganassi Racing’s Xfinity Series team in 2016 and 2017. Among the part-time entries, former ARCA Champion Austin Theriault will race the No. 92 truck for Ricky Benton Racing at Daytona. Theriault did not race in NASCAR at all last season after winning the 2017 ARCA Menards Series title. Opening practice for the NEXTERA ENERGY 250 takes place on Thursday, February 14 at 2:35 p.m. ET with TV coverage on FoxSports 1. The green flag waves on Friday, February 15 shortly after 7:30 p.m. ET on FS1. List is linked in the article now. Where are the actual lists? Where is the entry list? I only see you talk about 21 trucks, but theres 40 entered.